Carrie French, a holiday blogger, and vibrant personality sent her beautiful review to us at the launch of our 2017 global events and holidays wall calendar. We truly value our users and their feedback helps us to enhance. Carrie has been very thoughtful to have put down her honest opinion for the calendar which took a good deal of time, effort and intention of our studio team. The making of this marvelous repository of joy filled days has been an exciting journey and we hope it will spread its magic in your daily life keeping you safe from the blue Mondays or the tiring Thursdays. Carrie remarks, “I am obsessed with national holidays and the concept of daily celebration, so I was naturally excited by the oppo rtunity to receive the 123Greetings’ Year Full of Celebrations 2017 Calendar. The calendar is set up beautifully so that there’s a perfect mix of sweet little doodles, daily holiday information and color with plenty of room to write down my own personal details and dates. Some calendars are too cluttered or small, but this one will allow you to easily write four lines of information in each date box. 123Greetings also did a fantastic job of designing a super cute, modern calendar that I look forward to hanging up and showing off. 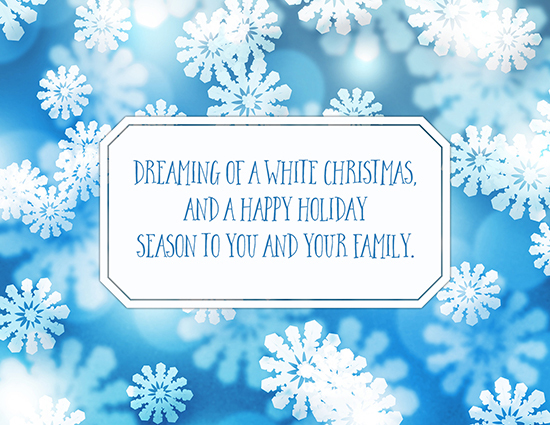 Each month features a colorful, cute repeating background and a quote that matches the sentiment of the season. May’s month cover is my absolute favorite, but there’s something special on each page, so I guess I will consider flipping it over to June when the time comes! 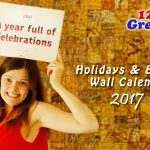 Grab a copy of the special 2017 Wall Calendar today for yourself and for your loved ones, with free shipping through www.123Greetings.com/Stores and enjoy a joy filled 2017. It is an exciting time of the year. Winter is stretching its arms to embrace the entirety. 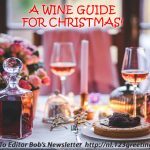 We are readying ourselves for the Holiday Season, Christmas gifts and greetings. Just before the holidays set in we have a range of colorful events coming up for you to warm up before the upcoming holiday season. Pray all to the bringer of gifts on St. Nicholas Day, which is on the 6th of December. Don’t forget to put your shoes outside the bedroom door or hang an empty stocking by the fireplace on the evening of December 5. 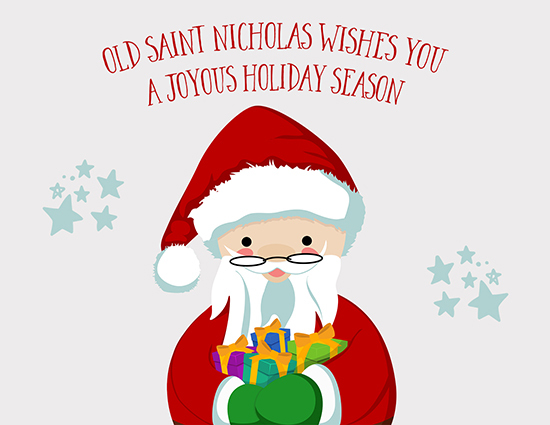 Our favorite Santa Claus or Saint Nicholas deserves a warm welcome. 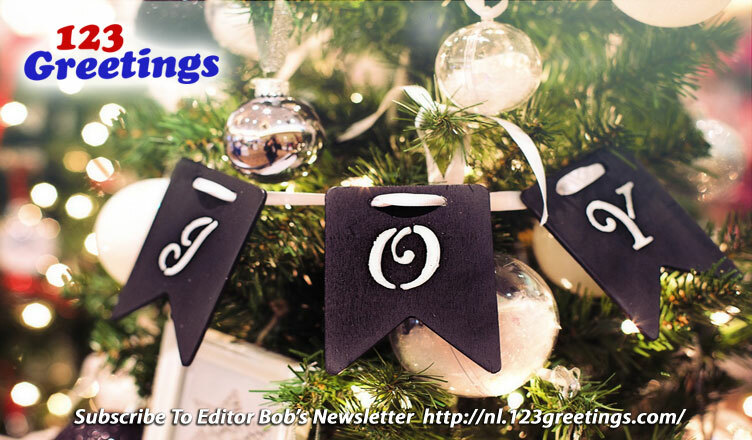 On the 9th of December, we have the amazing Christmas Card Day wherein we dedicate warm and merry Christmas greetings to our family and friends. 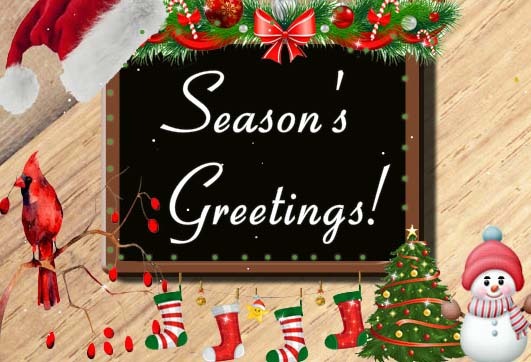 So choose from the bunch of heartfelt expressions and send the personalized greeting to your special people.